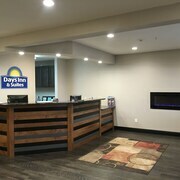 The front desk staff was great. Very friendly. The free breakfast was marginal and was taken down by 8:30 am while the posted sign said it was available until 10:00. The faucet in the bathroom just trickled. No water pressure there at all. The room was clean and comfortable. Everyone was very friendly and I will stay again. Thank you ! 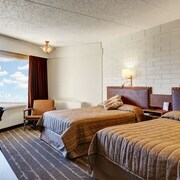 Where to find Williston hotels near an airport? 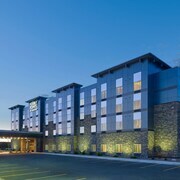 Where can I find hotels in Williston that are near tourist attractions? What would you do with a few days in Williston? You’ll love checking out this little town that’s full of North Dakota charm. Many visitors choose to stop in Williston because it is near the confluence of the Missouri River and the Yellowstone River. The beautiful Lake Sakakawea also offers plenty of recreational opportunities. Are you ready to roam in the footsteps of Lewis and Clark during your upcoming vacation? 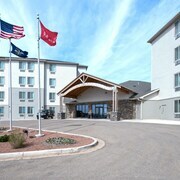 Explore big ways to save using our great deals on Williston, ND hotels. Get ready to tour historic sites, do a little golfing, and enjoy some outdoor recreation in Williston. This is the kind of place where fresh air and family are just parts of an average day, where you can learn new things and have a good time without waiting in long lines or enduring gimmicky tourist attractions. Williston is definitely the place to come if you want a natural and hassle-free holiday experience. Depending on when you visit Williston, you’ll either experience a winter wonderland or a playground of sunshine. Temperatures usually remain near or below freezing for most of winter. The town also experiences a healthy dose of snow during the winter season. Spring and fall both tend to be short and pleasantly cool, while summer shines with strong sun and temperatures near 22 degrees Celsius. Whether you’ll be in the area for snow sports or long summer hikes, you’ll find the comfort you need at Williston hotels. Get ready to pack a lot of fun and history into this trip. You’ll love the Fort Union Trading Post National Historic Site, Fort Buford, the James Memorial Art Center, and the Old Armory. Get ready to unleash your wild side on visits to Cut Bluff Overlook, Williston Area Recreation Center, and Lake Sakakawea. The best part about planning a vacation to this lovely destination is that you can use exclusive discounts from Expedia.ca to book a Williston hotel at the guaranteed best price. Stick around to browse hotel rates and all-inclusive offers. 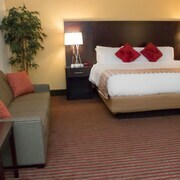 We’re willing to give you the lowest rates possible at Williston hotels. Simply use our online travel tools to track down a room that works for your travel dates and budget. Did we mention that you can also browse jaw-dropping specials on flights to Williston while you’re putting your trip together? Talk to our travel specialists to discover smart ways to save money without sacrificing a moment of fun. 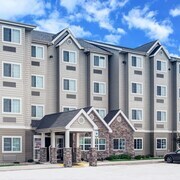 Plan your cheap stay at one of the coziest hotels in Williston, ND on Expedia.ca today. 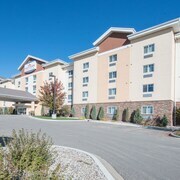 What are the most popular Williston hotels? Are there hotels in other cities near Williston? 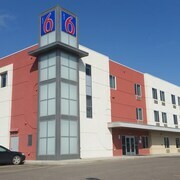 What other types of accommodations are available in Williston? Explore Williston with Expedia.ca’s Travel Guides to find the best flights, cars, holiday packages and more!